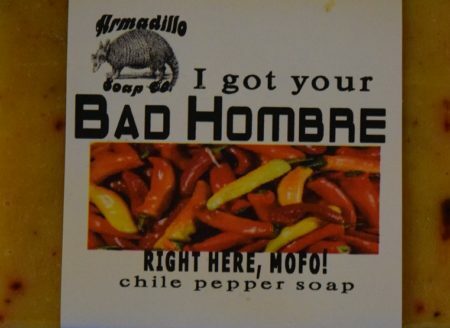 Bad Hombre Chile soap for all of you Bad Hombres. 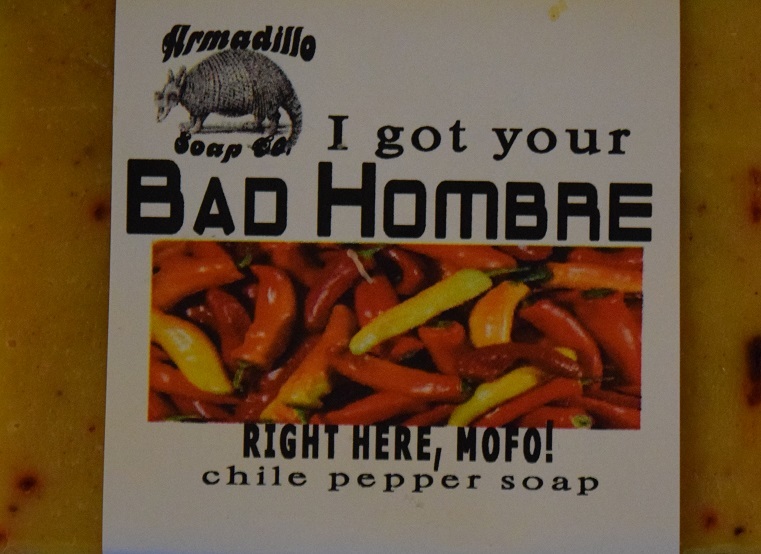 Yes it has chiles in it, but it won't burn. We use coconut, hempseed, and avocado oils which will clean without burning or drying your skin the way commercial soaps do. 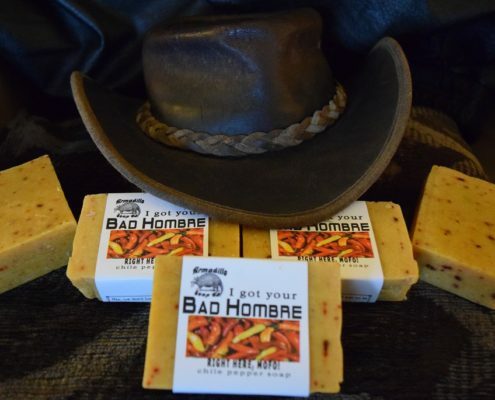 We use a blend of lavender, orange, lime and lemon essential oils for this unique natural scent. Women will love it too. 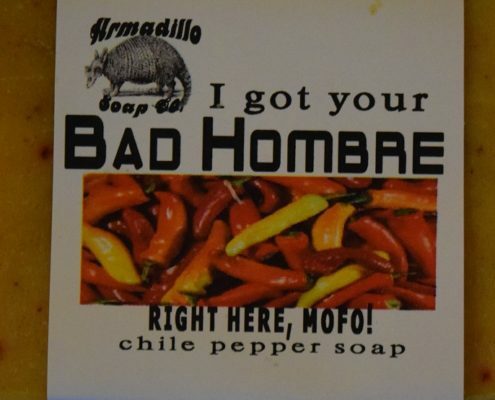 The Bad Hombre in me salutes the bad hombre in you.